The Southcentral Alaska Avalanche Workshop is a conference to bring together snow professionals. In the spirit of the International Snow Science Workshop, the intention is a merging of theory and practice to facilitate professional development in our community. Above: 2017 SAAW! 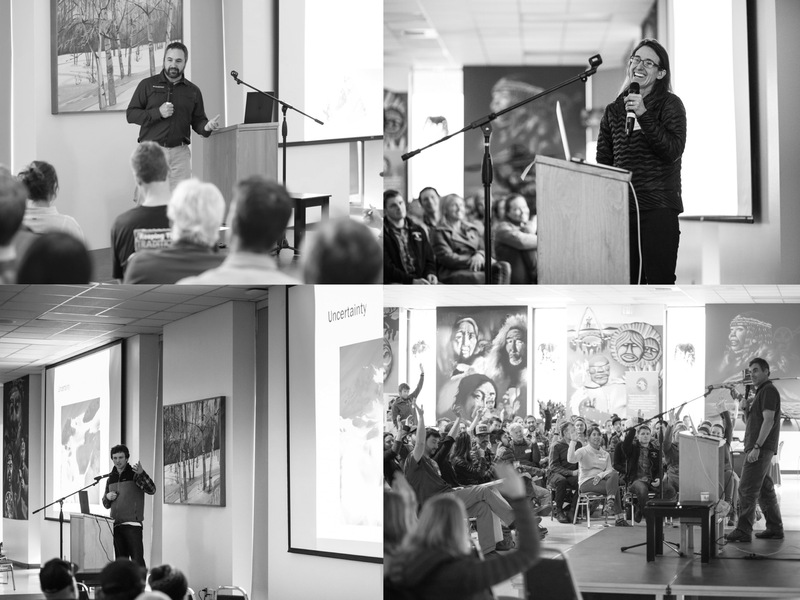 From upper right clockwise: Melis Coady discussing Mountain Medicine, Jaime Andersen talking about Strategic Shoveling, Henry Munter sharing his perspective on Terrain Bias and guest speaker Ethan Greene, Director of the Colorado Avalanche Information Center, presenting on Deep Slab Instabilities. This event is organized by the Chugach National Forest Avalanche Center, Alaska Pacific University, Alaska Avalanche School, the Alaska Avalanche Information Center and Chugach Powder Guides. It is partially funded through a generous grant from the American Avalanche Association. SAAW Organizing Committee members are: Eeva Latosuo, Heather Thamm, Wendy Wagner, Tim Glassett, Aleph Johnston-Bloom, Sarah Carter, Melis Coady and Rich Peterson.